Even though you still have the arm that led your high school football team to five whole victories, tossing your buddy a cold one is hardly ever a good idea. Because, let's face it, your buddy is a klutz. 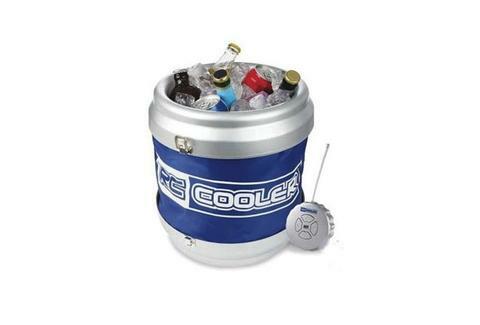 Here to help you avoid the inevitable accidents is the RC Cooler from Interactive Toy Concepts, which can hold twelve beers and ice. You control this sweet little gadget's movement so it can deliver drinks to all your friends and you never have to leave your seat.